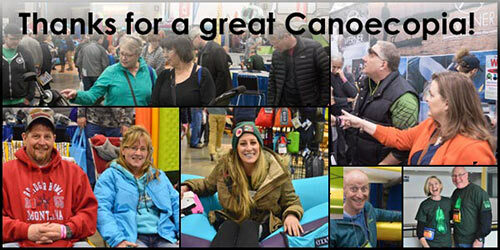 Canoecopia - World's Largest Paddling Expo! We had a wonderful Canoecopia and we're so grateful for all your support. Save the dates for next year...March 13th, 14th, and 15th, 2020! Canoecopia is the largest paddlesports consumer event in the world. More than 250,000 square feet of kayaks, canoes, stand up paddleboards, outdoor equipment and clothing, all at the best prices of the season, make Canoecopia a "must go" place for gear! Over 180 seminars and clinics make Canoecopia an educational event where you can learn about the perfect gear for your style of paddling, develop skills to get you where you want to go, and discover some of the many places to paddle, both near and far. If you're interested in experiencing life on the water, Canoecopia is the best place to spend the weekend! Canoecopia is presented by Rutabaga Paddlesports. Registration for exhibitors for 2020 will open up in May. We'll send out invites for exhibitors at that point. Note that we curate the show pretty heavily, so non-outdoor stuff is usually not permitted, no matter how super-absorbent your towels are. Our 2019 Canoecopia Show Guide magazine is available as a downloadable PDF. See "What's New", enjoy feature articles, gain tips for getting the most out of your weekend, print out the speaker schedule, and more! Learn about gear for your style of paddling, develop skills to get you where you want to go, and discover many wonderful places to paddle, both near and far. The hard part may be deciding which to see! New to Canoecopia but want to receive our show guide for 2020? 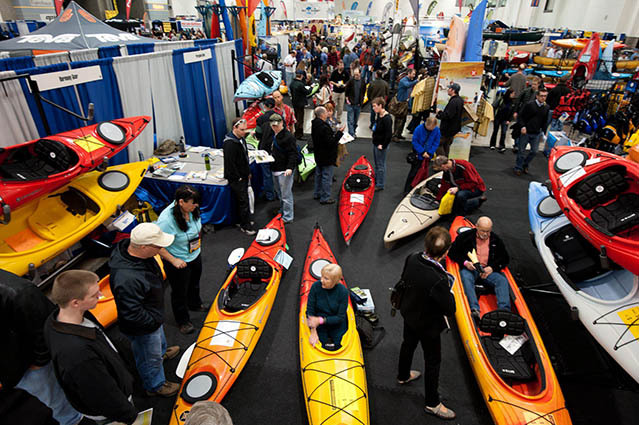 Add your name to get 2020 Canoecopia Show Guide. Some ask if we sell our mailing list. As much as people ask us, we don't. Ever. Period. See you March 13-15, 2020!